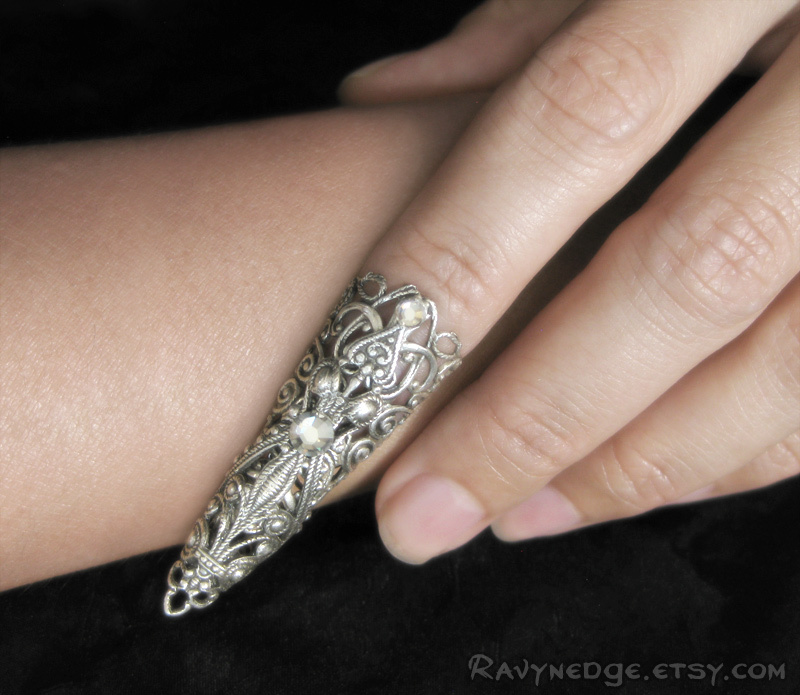 Empress Touch Fingertip Ring - Silver Filigree Adjustable Nail Armor Ring by RavynEdge. 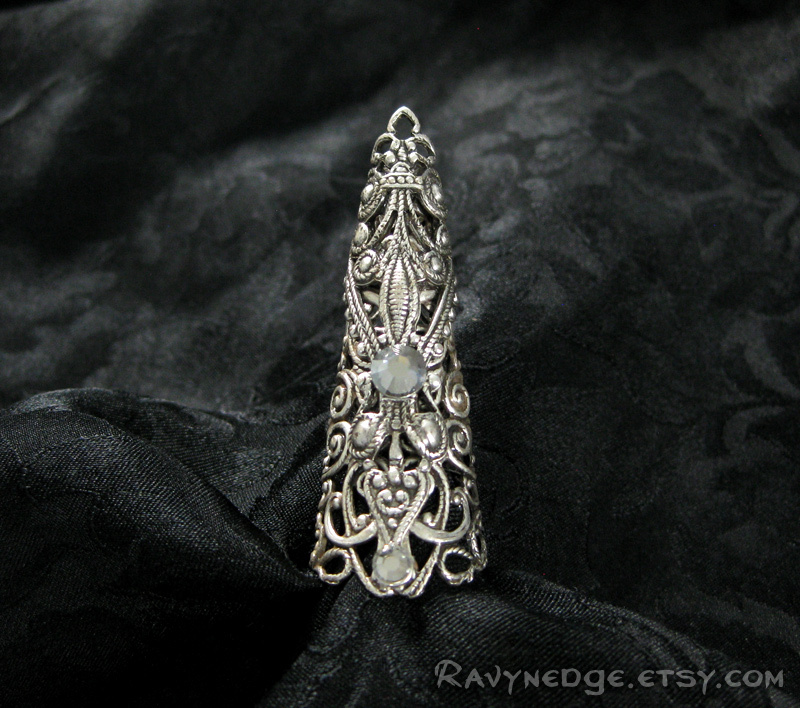 "Empress Touch" is an exquisite fingertip ring made from ornate filigree and accented with crystal silver shade Swarovski rhinestones. Looks great with other rings. 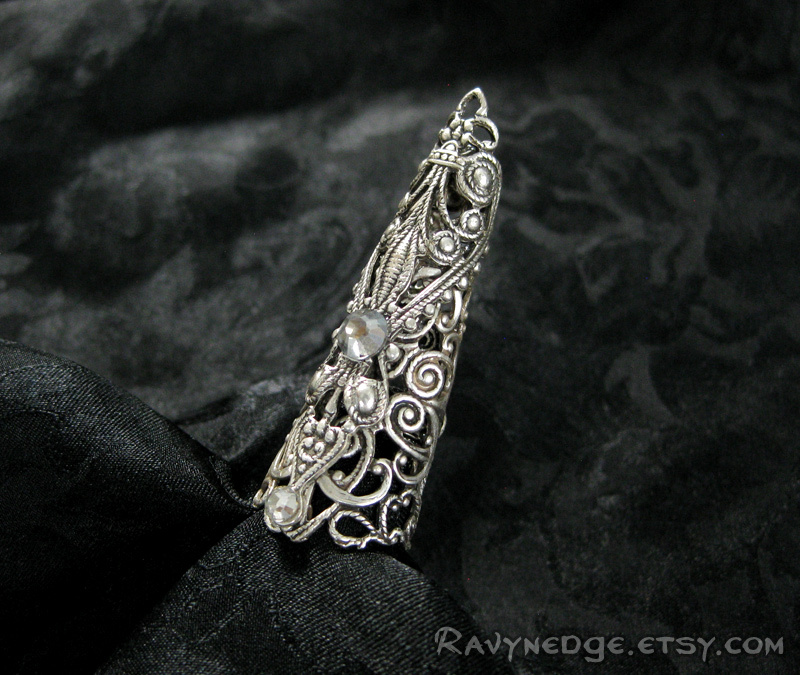 Adds a bold and stunning look to the ends of your fingers! 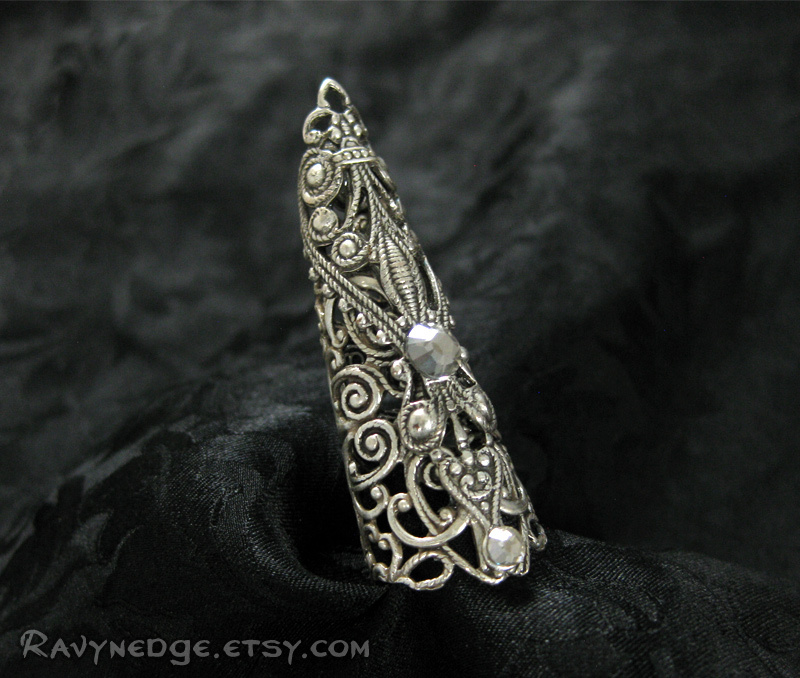 This is a small ring made to fit the tip of your finger. 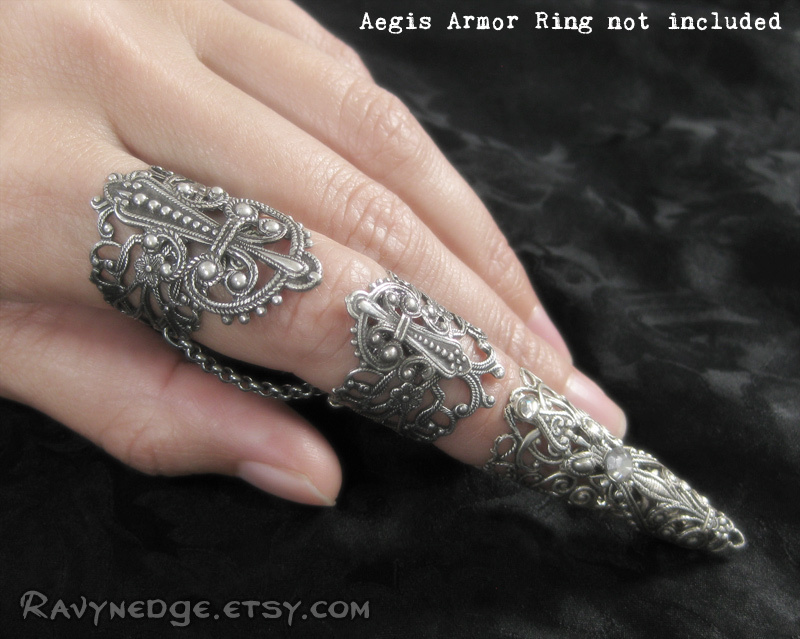 At larger sizes it may be open beneath the finger. You can easily adjust the ring by squeezing the sides or pulling them wider. All metal is sterling silver plated brass with an oxidized finish to give that wonderfully romantic and gothic look with a vintage appeal!